When you chose your iPhone, you may not have expected disk space to disappear so quickly. Photos, videos, music occupy a lot of space and you have trouble managing with the remaining storage? There are solutions. 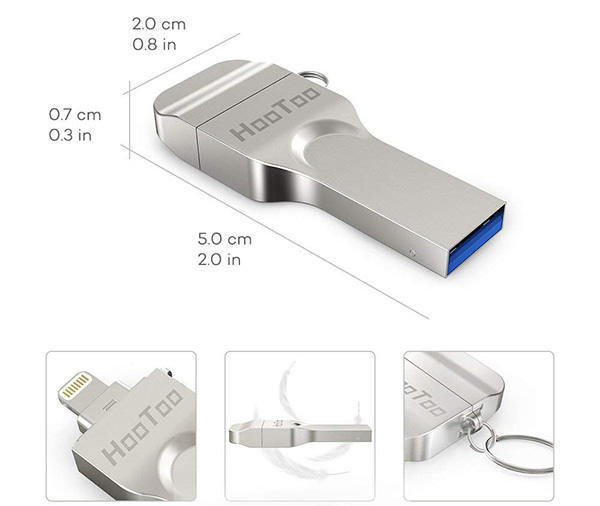 This USB key can extend the disk space of a 64 GB iPhone by directly storing the photos and videos made. With a few grams it takes place directly on the lightning port of your device and also helps secure data with a password. 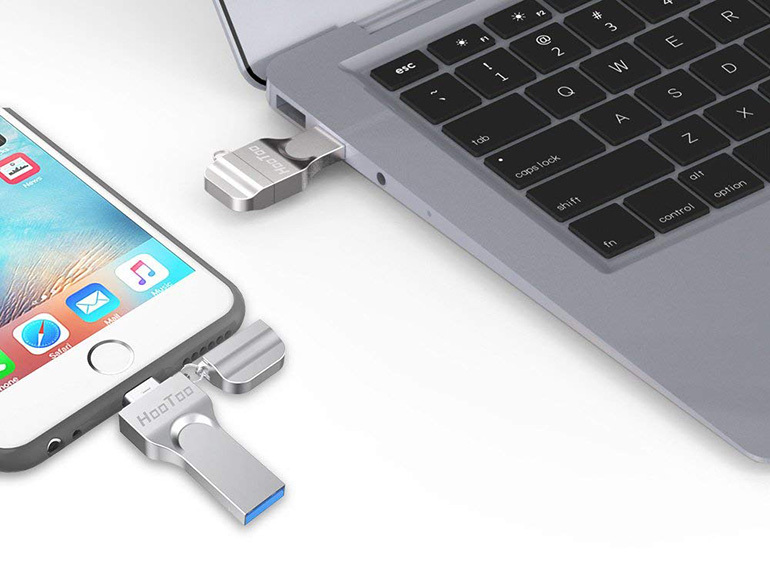 On the other hand this key certified compatible through Apple's MFI certification program can transfer data to a computer without iTunes through its USB 3.0 socket. Usually priced at $ 49.99 our readers can use the promo code HTIM003N to enter when choosing the means of payment to acquire the key to € 34.99. Click on the link below to take advantage of the good plan, it is valid until April 21st.